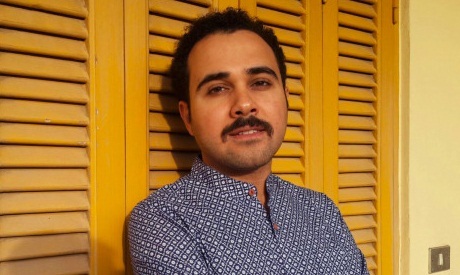 Egypt's Court of Cassation decided Sunday to adjourn the appeal of writer and journalist Ahmed Naji against his two-year prison sentence to 18 December, according to Al-Ahram Arabic news website. Naji was sentenced in February by a misdemeanor court to two years in prison for publishing a “sexually flagrant chapter” in the state-owned cultural newspaper Akhbar Al-Adab in 2015. The chapter was an excerpt of Naji's story "The Guide of Using Life." The court also fined Tareq El-Taher, the newspaper's editor-in-chief, EGP 10,000. Following the verdict, Naji's defence filed three appeals to suspend implementation of the sentence. However, they were all rejected. In late April, Naji's defence team filed an appeal before the Court of Cassation. The initial decision to refer Naji and Taher to prosecution came after one of the newspaper's readers, known as Hani Saleh Tawfik, filed a legal complaint claiming that the text in question caused him “to experience heart palpitations and an extreme feeling of sickness along with a sharp drop in blood pressure” due to the alleged indecency of the text. Last week, the Egyptian parliament’s constitutional and legislative affairs committee rejected proposals by two MPs to abolish jail terms for those convicted of publishing materials that “violate public decency,” state news agency MENA reported.